Game of Thrones returned with HUGE ratings for its final season premiere on Sunday night. But how high did it go? Click to get all the details inside! 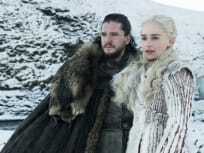 On Game of Thrones Season 8 Episode 1, Daenerys and Jon made their way to Winterfell and there was a lot of drama. Read our full review of the explosive season premiere. 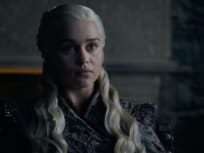 On Game of Thrones Season 8 Episode 2, tensions flare up in Winterfell when Jaime tries to make the others see that he is no longer aligned with Cersei. On Game of Thrones Season 8 Episode 1, new alliances are tested when the Night King finally breaches the Wall alongside a full-grown dragon under his command.